What Are the Special Olympics World Games? The Special Olympics World Games were first held in 1968. For a long time, games, more so the Olympics, were a preserve of the normal able-bodied individuals. The Special Olympics, an organization that the International Olympics Committee (IOC) mandated to run the Special Olympics World Games, holds an event every two years targeting and bringing together a competition for athletes who are intellectually disabled. The summer versions of the games began in 1968 while the winter versions have been around since 1977. The Special Olympics World Games exist to showcase the athletic prowess of the intellectually disabled on a global platform through several games over a period of more than one week. Through such an exposure, the world gets to learn more about these athletes who are actually “abled differently.” However, the Special Olympics are not the Paralympics. Paralympics involve athletes who are physically disabled and not mentally disabled. Among the global games, Special Olympics usually attract the most number of volunteers. On average, close to 400,000 volunteers and coaches participate in the games. Thousands of children and adult athletes compete in 32 summer and winter Olympics sports. 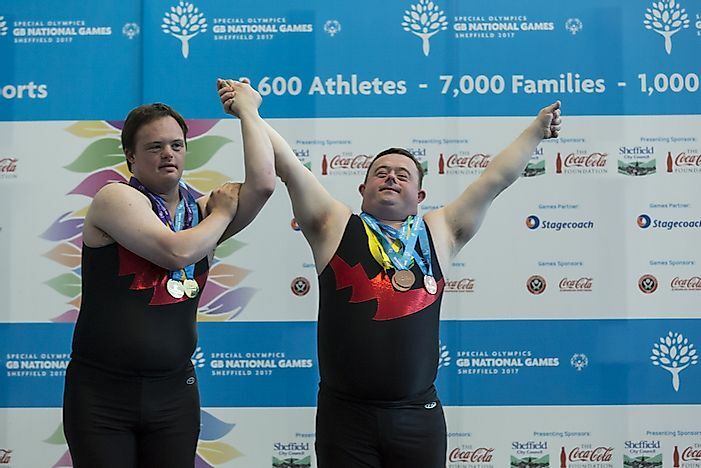 The participating athletes range in capability and physical ability, and they compete based on their ages and ability to make the competitions fair. They can be gifted, average athletes, or professional athletes among others. After years of planning and deliberations, the City of Chicago, Illinois hosted the first and second Special Olympics Summer World Games in 1968 and 1970 respectively. In 1972 and 1975, Los Angeles and Mount Pleasant, US, hosted the games while Steamboat Springs, Colorado hosted the first winter version of the games in 1977. Between 1979 and 1991, different US cities including Brockport, Baton Rouge, Park City, Minneapolis, and others have hosted both the winter and summer versions of the games. This dominance by the US is probably because it is the only country that had the facilities and will to host the Special Olympics. From 1993 to 2017, other cities in Austria, Canada, Ireland, Greece, Japan, China, and South Korea took the challenge to host the games. This diversification of location shows the growth of the concept and how countries value the Special Olympics. Some hosts actually applied the Host Town Programs whereby families within the host city pick individual athletes to host for the entire period. The 2019 version of the games will be in Abu Dhabi, UAE. During each Special Olympics, there are mandatory sports disciplines whose facilities host cities must provide. Summer: For summer sports, these disciplines include track and field athletics, badminton, basketball, bocce, bowling, equestrian, cycling, soccer, golf, volleyball, tennis, table tennis, swimming, sailing, softball, powerlifting, judo, handball, roller skating, and gymnastics (both artistic and rhythmic). Winter: For winter versions, host cities must prepare sites for alpine skiing, cross-country skiing, floorball, floor Hockey, snowboarding, snowshoeing, speed skating, figure skating, and short track speed skating. As the Special Olympics games continue to grow more athletes from different countries are participating in the game. With this development comes the attention and inclusion of more disciplines. Future competitions will most likely receive more support from different actors in the sports fraternity. What is Special About Lake Turkana?